We created our Hilleberg Outdoor Academy to offer our retail partners hands-on, real-world training with our tents, and how they work in all conditions. We run the Academy twice a year, giving staff from our retailers a chance to spend a few days and nights hiking or skiing in the northern Swedish mountains. 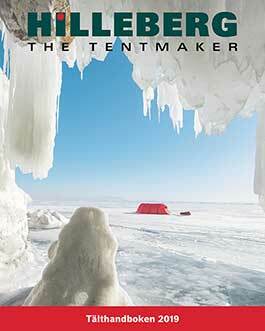 They get to try different tents, and to learn about their design as well as more about Hilleberg in general. We get the opportunity to learn more about our partners, and to build great relationships. Our most recent Academy was a multi-day ski tour, in very cold temperatures, where the participants got to use the tents in conditions that ranged from clear and sunny to blizzard.